A colour space is a specific organisation of colours that can affect the accuracy of colour in your projected images. We’ve outlined what you need to know about colour spaces when it comes to buying your next home or office projector. HDR, or high dynamic range, is a term used in the projector world to describe the quality of projected images – but what exactly does it mean? Here’s a guide of everything you need to know about HDR. Understanding cables and bandwidth is an important part of figuring out the perfect projector set-up. We’ve explored the essentials of bandwidth and why it matters when looking for your next projector. Apart from physically attending a game, watching your favourite match is best done on a large screen and preferably in the company of other fans. Here’s how to choose the best projectors for pubs and bars in 2019. Are you looking for the best projector for your church or place of religious worship? Here are some useful tips to help you make a decision that best suits your needs, whatever they may be. Are you wondering what the best projector screen size is for your needs? From formats and throw distances to viewing angles and the distance of viewers from the screen, here’s what you need to know. When looking for the best conference room projector, you might not know where to start. To help you out, we’ve outlined the essential considerations and given you our top choices for different screen size requirements. Projectors for school halls can be used to enhance the learning experience in many different ways. But before you choose the best school projector for you, we’ve outlined the most important considerations and our top recommendations for 2019. If you’re looking for a great meeting room projector, we’ve outlined some of the best on the market in 2019. 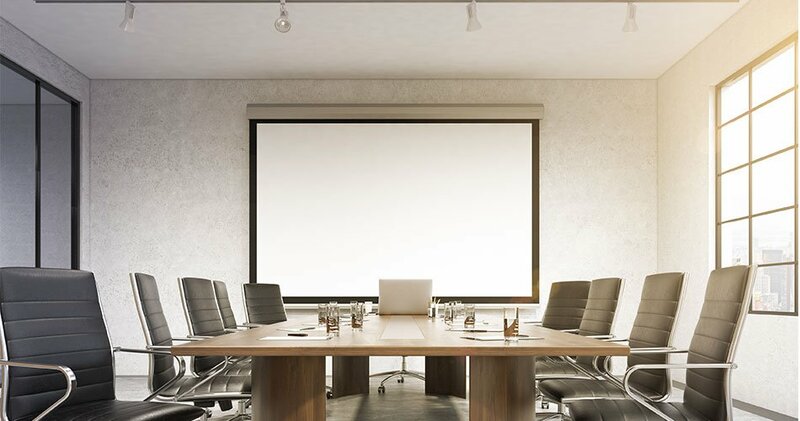 From the Hitachi LP-EU5002E, our favourite budget-friendly choice, to the BenQ LK952 and its exquisite delivery of 4K resolution; here’s our list of the best meeting room laser projectors. There is no single level of brightness that is suitable for all situations, whether it’s at home or in the office. So read our guide to discover everything you need to know when it comes to projector brightness and lumens.